We built our new feature, Shared Collections, with the idea that content becomes even more powerful when you are able to share it with others. The popular saying about teaching a man to fish is true: When you show your work newsfeed to others, you empower others to grow as well. We’ve seen so many inspiring Shared Collections over the past few weeks, and we wanted to highlight some of our favorites. Gain an expert perspective by following what these professionals consume regularly. Dane Anderson, a TV writer in Los Angeles, uses his feedly to keep up on entertainment industry trades and other film and television news sources. He curates a couple of collections at the bottom of his feed to research projects he’s working on. 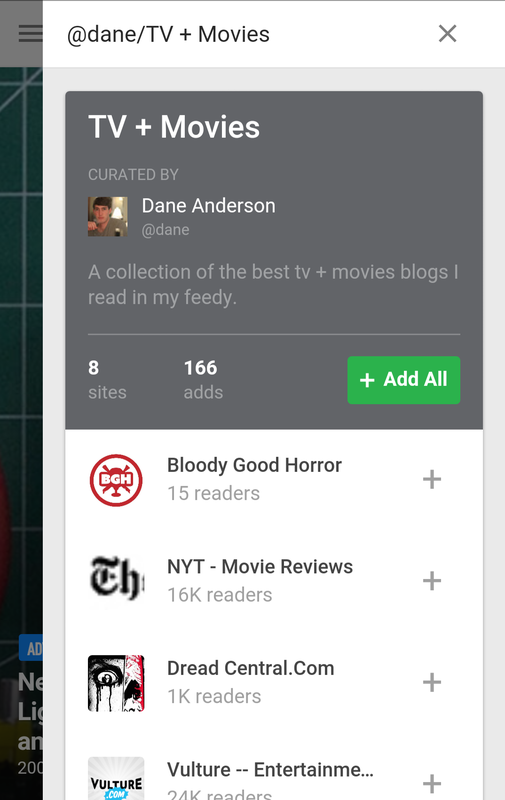 Check out Dane Shared Collections on TV + Movies, Crime + Forensics, and Security Science Shared Collections (Can you tell what he must be writing?). Santa Monica creative director Lee Schneider of Red Cup Agency uses his feedly to stay on top of design topics and follow specific news beats. Check out his collection on influence to see resources on how to spread ideas. Ted Curran is an Oakland-based instructional technologist at Pearson Education’s Emerging Models division. His goal is to empower students and teachers to improving teaching through technology. 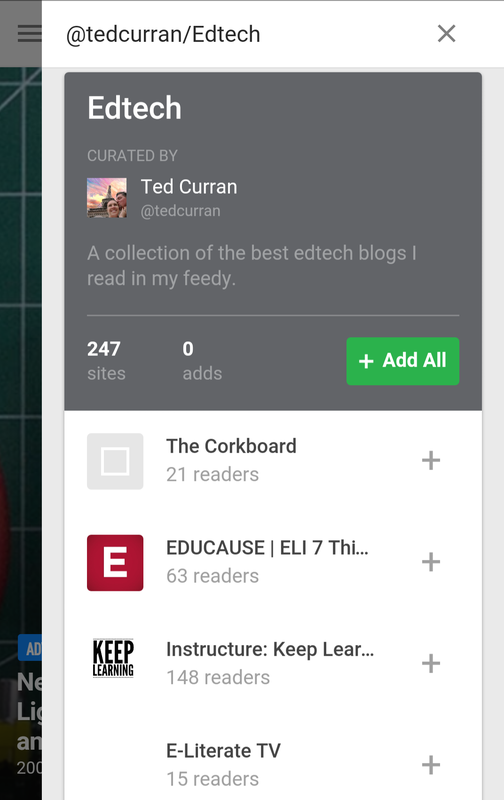 Check out his Shared Collection to read the very latest in edtech. Graham Smith is a designer in East Sussex, England, who focuses on logo and brand identity. He caters to a large crowd of 46.1k followers on his Twitter. If you follow him and are thirsty for more, get deep into the nuances of typography and follow Graham’s Shared Collection for a curated list of great resources. About 71 percent of the world is water, and you can plunge into the deep blue with Madrid-based marine biologist Gipsy Jules’s collections on Climate Environment, Green Tech, and Science. Interested in improving your sales skill set? 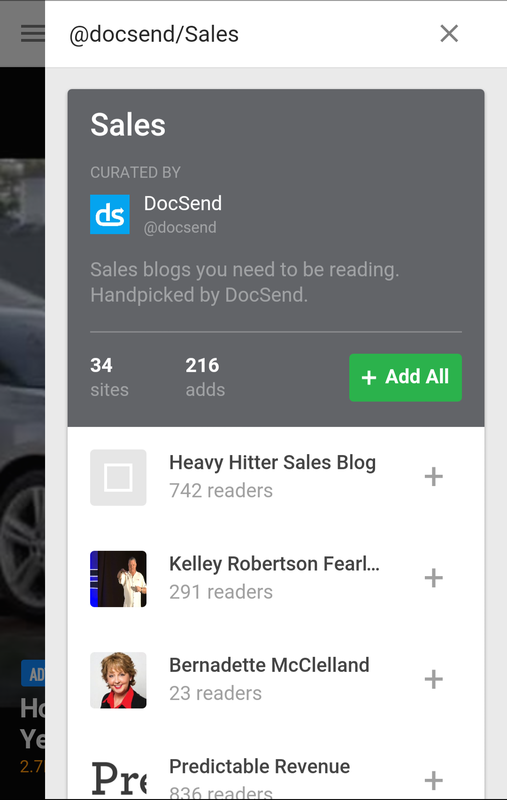 DocSend is a company that helps sales teams understand what happens after they hit send. But sales is not only about the tools, but the way you use them. The company has curated a list of great resources to help people get better at sales. We hope you enjoy these Shared Collections! If there are other Shared Collections you love, please leave them in the comments—or add your own for a chance to win feedly Pro for life. My name is Michael L. Martin Jr. and I’m an author of fantasy. Currently, I’m writing a fantasy series called The Darker Side of Light Saga. The first book of that series is titled Burn in Hades. It is about a deceased man on a quest across the underworld in search of a river that will erase the terrible memories of his past (more info on mlmjr.com). How does feedly help you get inspired? I use Feedly for inspiration. As a storyteller, paying attention to the world around me is one way to invite stories to find me, and subscribing to feeds is a great tool to stimulate ideas. Inspiration doesn’t always come to us. Which is why I expose myself to as many different things as I can, feeding my subconscious. All the content I absorb is locked away and stored somewhere in the archives of my mind and referred to when I need it. Inspiration can come in a variety of forms and my eclectic set of subscriptions reflects that. Music blogs, design blogs, photography, filmmaking, fashion, technology–I’m a devourer of stuff. I subscribe to 460 sources in 26 categories (and growing). My eyes are always open for films, images and words that excite my creativity. I usually start my feedly inspiration sessions with the “Today” section. The featured articles are like the front page of a newspaper. Remember those? Yeah, me neither. (I’m kidding!). I scan through the Today section and “mark as read” articles I’m not interested in, reading a few of the intriguing ones as I go along, saving others for later. After I browse through the featured articles in Today, I tend to choose categories at random. Whatever I’m feeling in the moment, I’ll just go with it. What are your 5 top tips to help other people getting inspired from such a wide range of topics? Follow a lot of feeds on a lot of various topics and include topics you had no previous knowledge of. Ignore the unread count. Never feel like you’ve missed anything because there’s always a shiny new something waiting to inspire! Every time you open feedly, mark as read all the articles older than one day. Use save for later as an “article limbo” for those times when you’re uncertain whether or not you want to archive an article, or if an article doesn’t clearly fall into a specific category. But don’t archive anything in there. Words of Wisdom – Sometimes I come across a post that speaks to me in a way that sparks a new way of seeing something or reinforces my personal philosophy in a profound way. Stuff like that goes in this tag. Watch Later – I subscribe to a lot of feeds of filmmakers. It would be impossible to watch everything they publish. And even when it comes to the films I want to watch, there are just too many to watch in one sitting. So, I have a “Watch Later” tag. As new videos appear in my feed, I scan through them, picking out the ones that strike me as interesting, and tagging them. Sometimes I may watch one or two in that moment but the rest get tagged for later viewing. And I remove the tag from watched videos. 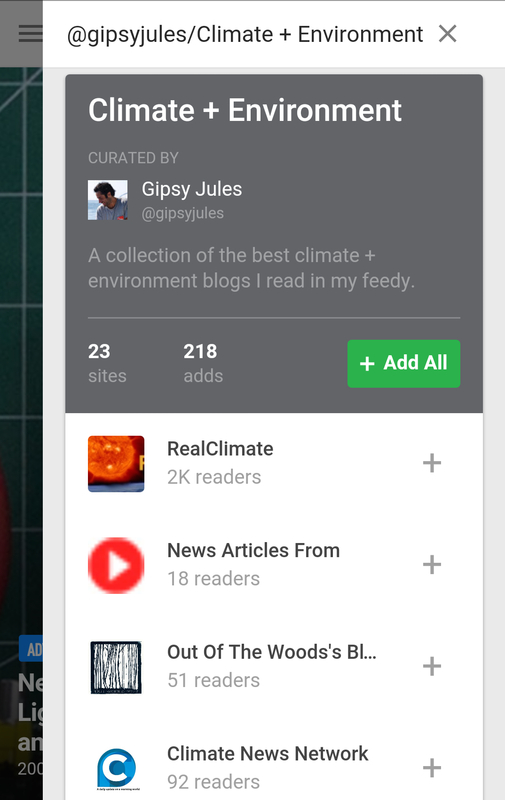 What would be some great feeds to subscribe to to start an inspiring feedly? The visual effects team behind the clever science fiction short-films Plot Device, Order Up, and the hilarious Form 17. The majority of the filmmaker feeds I subscribe to were introduced to me by Vimeo’s very own staff. A must follow feed for video nerds like me. Daniel Ablin is a french film director behind the poetic science fiction short-film series “•363” (Check out Episode 1 and Episode 2). I am a digital entrepreneur and the founder of Rich20Something, where I teach young people how to break out of the boring 9-5 and create income doing what things they love. I have a passion for productivity and I use writing as a medium. I am a freelance writer for various blogs and journals and a writer at Huffington Post. You can follow me on @Rich20Something. 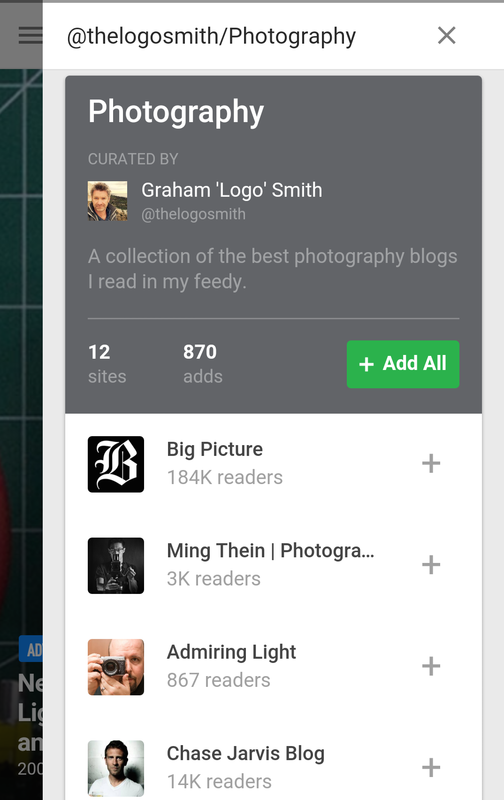 What do you use feedly for? As a writer, I have to read in order to write great posts. I use feedly as part of a 90 minute reading session in the morning to inspire and inform my writing. I start by reading my “Blogs to comment on” category where I have listed all the blogs I want to be active on. My goal there is to leave comments on as many articles as possible — that’s an important aspect of establishing my presence and giving back to the community. When it’s time to write an article for my Huffington column, another site or my personal blog, I scan through the “Things I want to teach” category where I’ve developed a customized list of blogs and sites about marketing, persuasion, freelancing and negotiation. After an idea is sparked, I head over to my Omnifocus app on my desktop to jot notes down. I don’t always use the notes right away, but they serve as a pool of ideas to pull from later. With this method, I never have “writer’s block”. Do you have any tips you would like to share with the feedly community? Create a category that reflects personal or professional goals. In my case, I want to be really active in my space. So I have created a category called “Blogs to comment on” with all the relevant blogs. Every time I go in this category my goal is to leave as much valuable feedback as I can and build relationships with other authors and readers. Try this segmentation strategy out for yourself. For instance, if you are about to get married, try creating a “Ideas for wedding” category. Alternately, if you want to work on making your garden more beautiful create a category called “Tips on gardening”. Then use the categories you’ve made to systematically parse information that you’re looking for. The biggest benefit of this method is that it is much easier to focus on the topic at hand when all the information is pre-selected for you. If you’re anything like me, it’s very easy for you to start reading a business article and end up looking at cat memes. Short circuit that tendency before it happens! What are your favorite feeds? My name is Tina Roth Eisenberg but most people call me Swissmiss, which is the name of my design blog and my Twitter handle. My blog started out of the desire of wanting to create a personal visual archive of all the inspiring and helpful things I would find on my daily internet adventures. This was in 2005, in the days before Tumblr and Pinterest, where visual blogging wasn’t established yet. On my site you can find anything from beautifully designed furniture, to art, to kids toys, to quotes that inspire or videos that made me laugh. If I find something particularly beautiful, practical or inspiring, chances are I want to share it with my readers. But my blog is just a small portion of what I do. After arriving in NYC in 1999 I worked in various prominent design firms to then start my own graphic design studio in 2006. In 2010 I decided to take a client sabbatical to focus on my various (fulfilling) side projects. This hiatus has since been extended indefinitely and I now run four businesses out of DUMBO, Brooklyn. With the help of my amazing team, I run a collaborative workspace called Studiomates, organize a global, monthly lecture series called CreativeMornings, I am the inventor of the to-do app TeuxDeux and just recently changed the world of temporary tattoos with my latest project Tattly. I follow a rather large (unhealthy?) amount of websites. 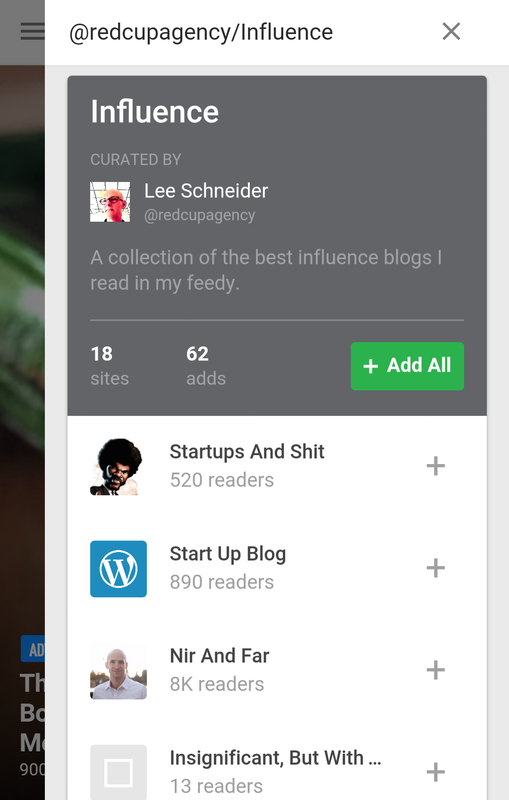 Feedly helps me feel organized and save time when sifting through hundreds and hundreds of posts every day. Feedly makes this process not only effective but also a true visual pleasure. I am a web designer by trade, with a minimal Swiss aesthetic, and I can wholeheartedly say that no other service comes close to Feedly’s high visual standards. I especially love to use the Cards view on my desktop to see what peeks my interest, and I ‘save’ the ones that I plan to then share on my blog. If you add too many sites to your feedly you can get really quickly overwhelmed. The solution I found is that I try to a) organize my feeds meticulously and b) delete a feed if it is lacking in quality posts. Also, I created a category called “Testrun” where I organize feeds I just discovered. After having read them for a couple of days I decide if I should remove them or if I should add them to one of my main feedly categories. What are your 5 favorite feeds? Author @feedlyPosted on April 23, 2013 July 28, 2015 Categories All, User StoriesTags Tina Roth Eisenberg18 Comments on What feeds them? Tina Roth Eisenberg (aka Swissmiss), blogger and designer.